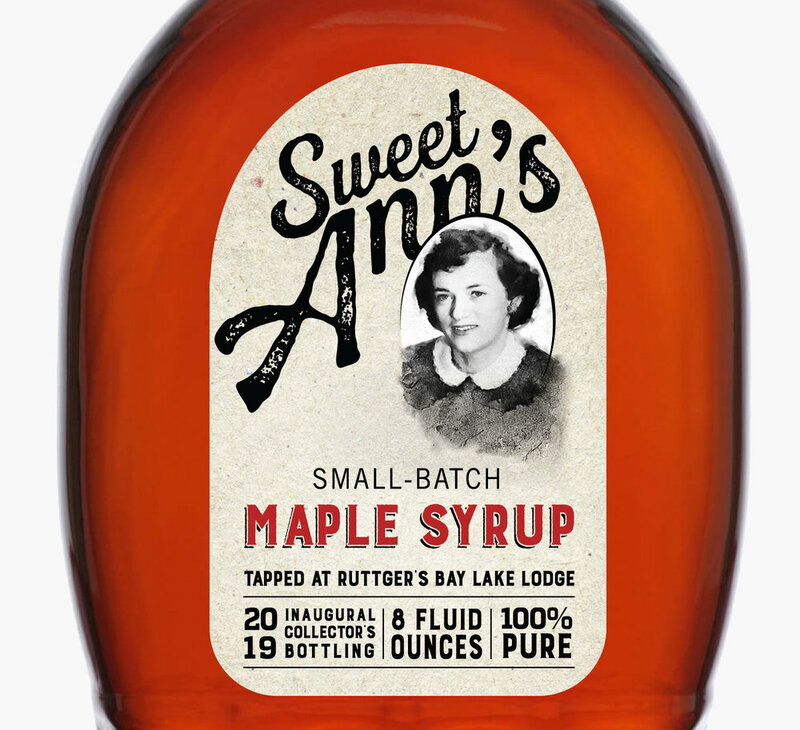 Labels designed for Ruttger’s Bay Lake Lodge Sweet Ann’s Maple Syrup. To celebrate the start of the spring resort season, Ruttger’s Bay Lake Lodge hosts their Maple Tap Off weekend. 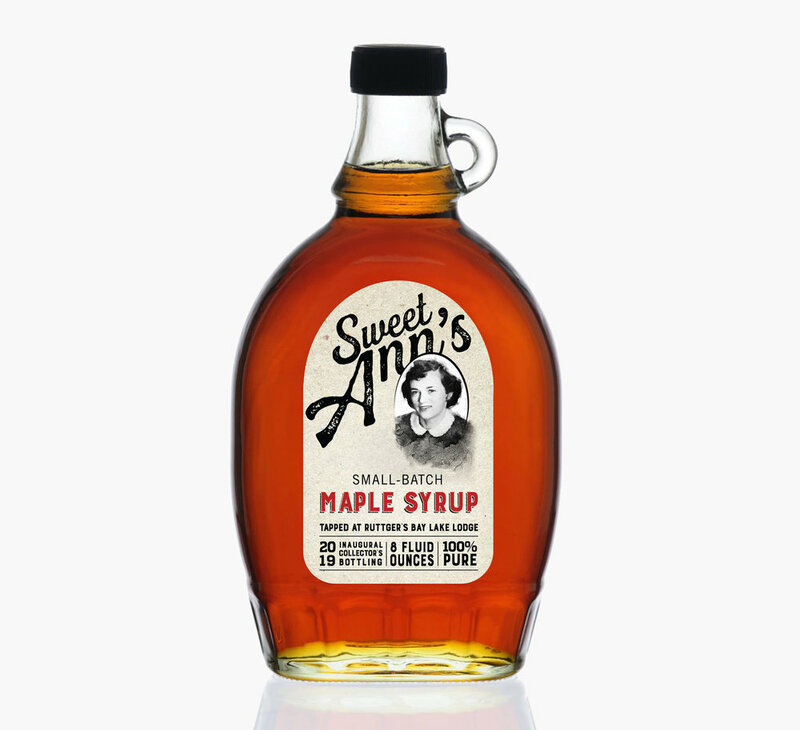 Guests are able to learn how Maple Syrup is made from tapping to tasting! Growing up around the smell of sweet sap cooking and watching the family tips and tricks trickle down to the next generation each year, this project was dear to my heart. 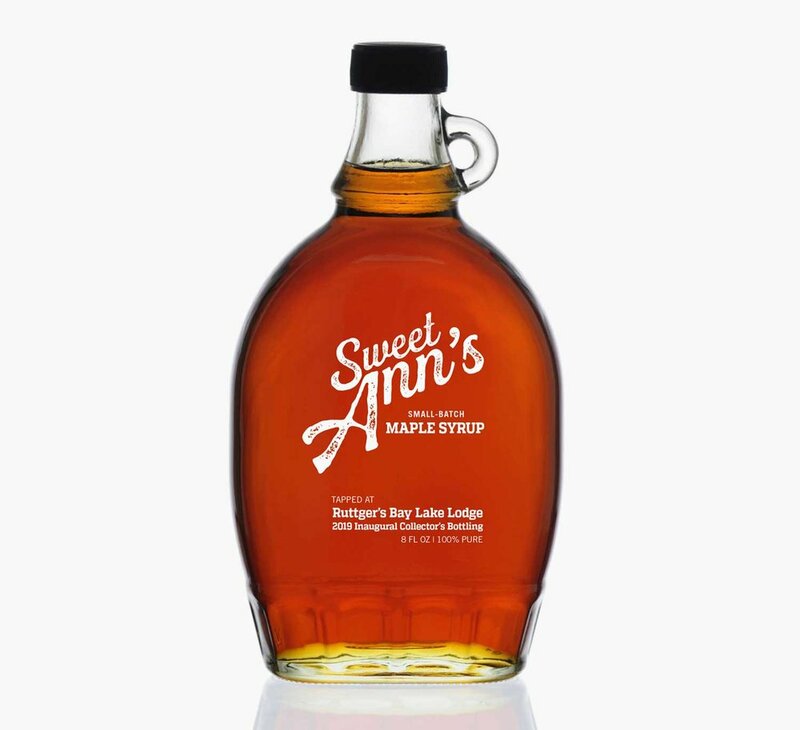 I was excited for the opportunity to design the labels for bottles of Sweet Ann’s Maple Syrup produced with the sap from the trees at Ruttger’s Bay Lake Lodge. The art direction was for a clean and simple design with a touch of old-fashioned charm. A clear label design, artistic and photographic options were presented. Ann Ruttger’s image was ultimately chosen, reinforcing Ruttger’s 120 year legacy in the resort industry. As a graphic designer with a love for Minnesota's changing seasons, I am always finding myself on a new hike for adventure with my chocolate lab, setting the table with a fresh dish straight from the garden or simply enjoying time at the lake or on the farm... These things inspire and foster my creativity.